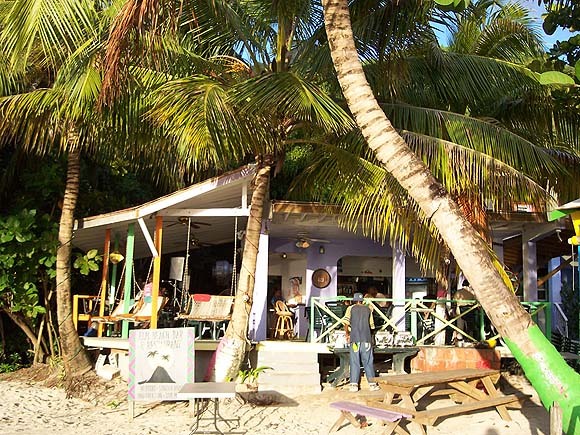 Elm Beach Restaurant & Bar – Cane Bay, Tortola BVI – The bar at ELMs offers fantastic food at reasonable prices. Open Tuesday to Sunday for lunch and dinner, you can get anything from a chicken roti to a wonderful lobster and shrimp curry. Bars, Beach Bars, British Virgin Islands, BVI, Restaurants, Tortola. Bookmark.